1. Kane had his second eye surgery this week, so that’s out of the way. I’m hoping this corrects his alignment issues and that we don’t have to go in for round 3. 2. My mom is down here helping out with Kane, and her birthday is on Tuesday, so I treated her and Chauncey to an early birthday dinner last night at the Cheesecake Factory. Happy early birthday, Mom! 3. The closet purge continues. Last weekend I was able to go through most of my jewelry and put it up on Facebook. What doesn’t sell may go up on Poshmark. 4. 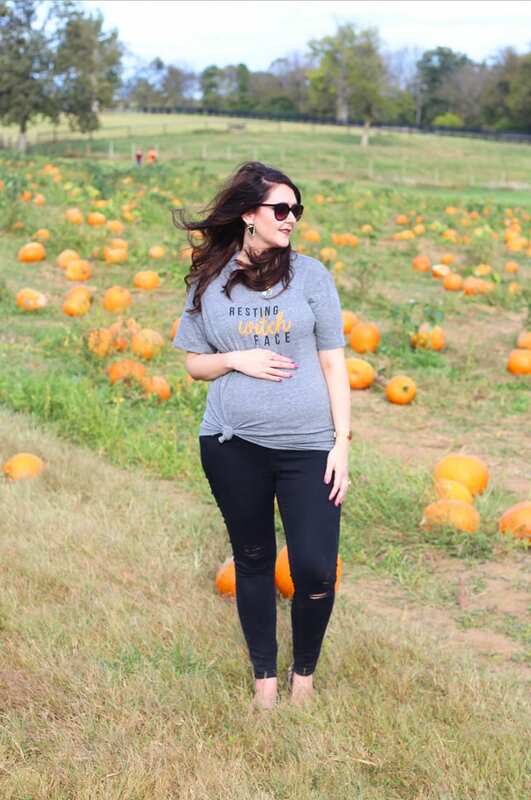 We went to the pumpkin patch on Tuesday, which I mentioned in yesterday’s post. Kane wanted to win a pony, and he had the best time. 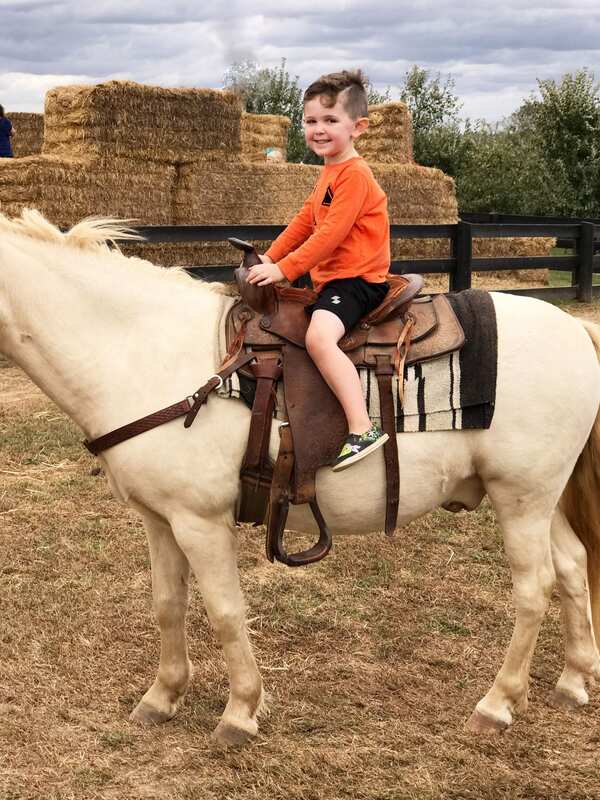 You could either ride a big pony or a small pony, and he chose to ride the big one. 5. I got my new pregnancy pillow in the mail and I’m in love! I’m still sick, and it has been great for sleeping. 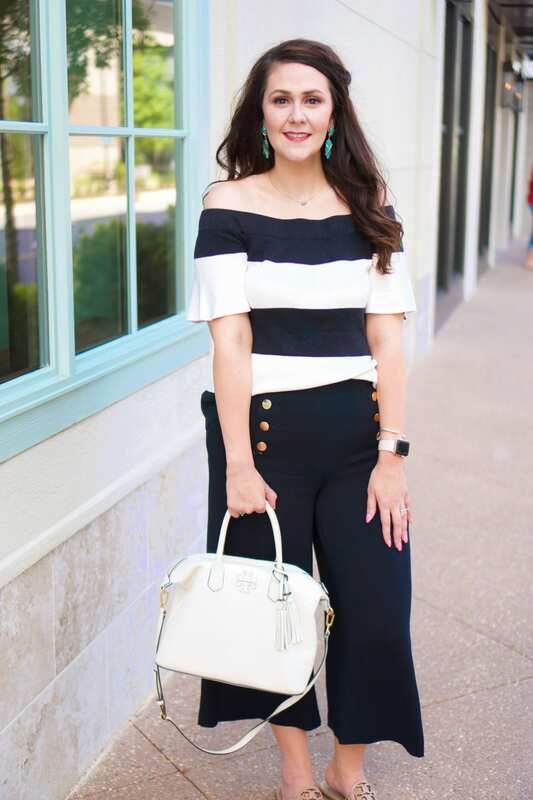 This week’s featured blogger is Cute Capsule Life, a style blog. She actually just moved to Kentucky and is an actuary at a large insurance company. 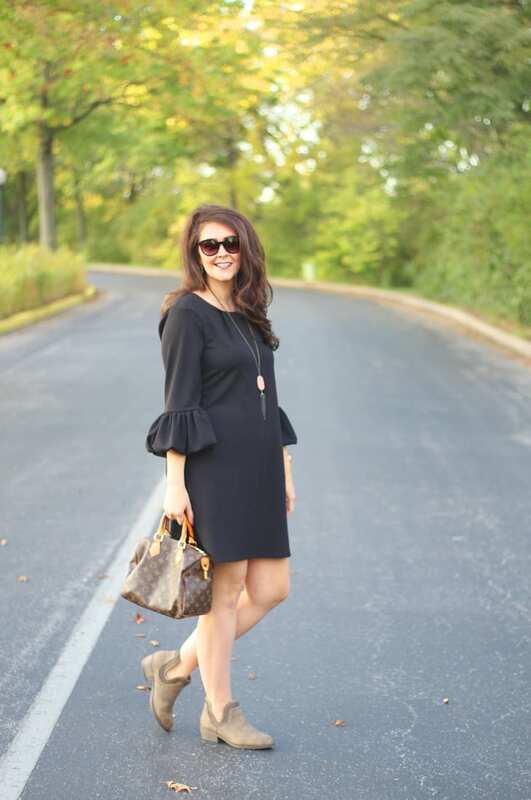 Check her site out for inspiration on a simplified closet. YUM- Cheesecake Factory, it’s always so hard to choose just one piece because they all look so good! I love that dress with the ruffle sleeves- so cute! Thank you so much for featuring my blog this week! I hope Kane’s recovery is speedy and all goes well – and that you feel better soon! This is such a fun time of the year with all things pumpkin. Love your looks and hope everything goes well with Kane. Resting witch face, pure brilliance. Happy Birthday to your Mom & hubby! I hope your son’s surgery works out for the best! I love all of your looks! So glad to hear that Kane’s doing well after his surgery!!! I love that he chose the “big” pony! I think that’s about the same age I first started riding horses. Happy Birthday to your husband and your mom! Glad the surgery went ok.